Is it safe to do Dental Implants? 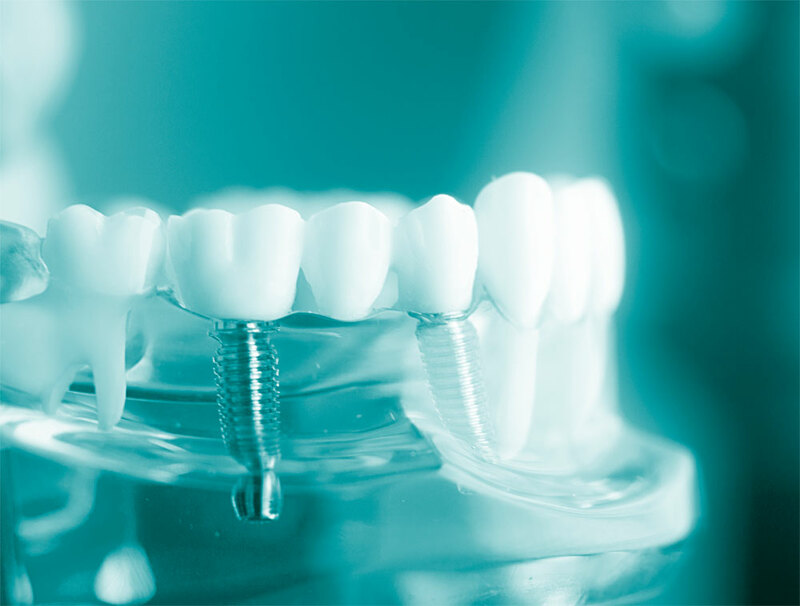 Dental implants are typically made of titanium, a bio-compatible material that is accepted by the body and serves as a strong and sturdy foundation for replacement teeth. 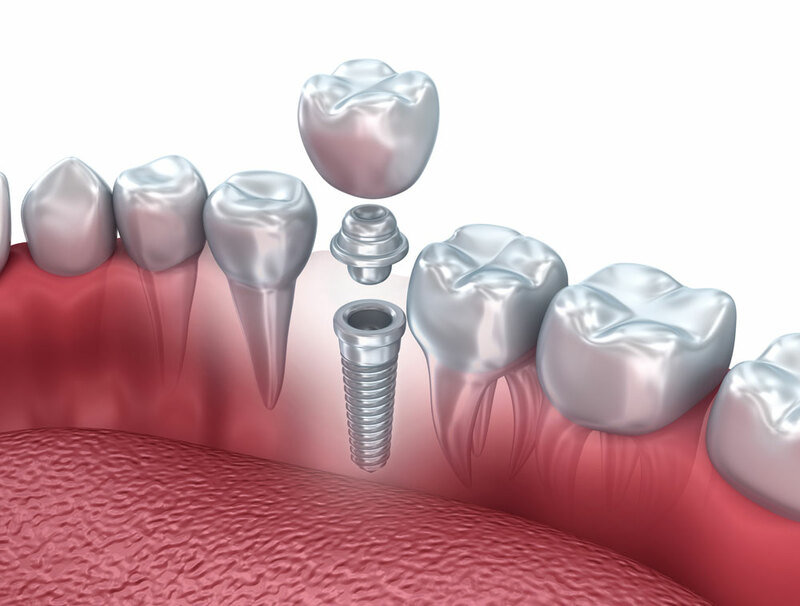 Your natural bone locks the implant into place by fusing, or attaching itself, to the implant. Unfortunately, it is the younger age group that faces restrictions when it comes to dental implants. The procedure requires a fully developed jaw, so generally a dental implant patient must be at least 17 or 18 years old, but this is not a set number. Not Enough Bone For Dental Implants? One factor for determination of good candidacy for dental implants is the quantity of the bone available. The height of the bone required to place a dental implant has a minimum dimension. In some cases, if this minimum dimension is not available, a bone graft can be performed to increase the bone level. When broken, damaged or hopeless teeth are extracted it is sometimes required to place a small amount of bone into the space where your tooth root was once located. This is called a “socket preservation” when done at the time of the extraction. Socket preservation is just a different term for a bone graft done at the time the tooth is removed. Upper teeth can have the complication of not having enough bone to place an implant due to interference with the maxillary sinus, which is a space that exist behind our cheek bones. Sometimes this space dips down far enough to be problematic for putting in an implant. In these cases, you may still be eligible for an implant after having a procedure called a sinus lift. In a sinus lift procedure, added bone is used to increase the thickness of your bone and allow the implant to move forward. The Dental Implant process is basically a three phase process, which can be different for each person. Typically the entire process takes from 5 to 8 months. What Is The Procedure To Get An Implant? The steps involved in getting a dental implant can vary from person to person depending on the needs of your particular situation. It can sometimes be as simple as getting an implant on the day you come to The Smile Center, or it could require a number of stages to complete, with each stage taking up to several months before moving to the next stage of treatment. The total process could take anywhere from six to nine months, or even longer when bone grafting is required. If you are patient with the process, you will be very pleased in the final result since dental implants are the best long-term solution for replacing your missing teeth. In order to place a dental implant, you must have sufficient bone to make sure the dental implant will be stable once placed in the jaw. If it is determined that you will need bone for your implants to hold, then you will require either a bone graft, a socket preservation, or perhaps a sinus lift. All of these procedures have the same goal; increase the amount of bone available to hold the implant in place. During the bone graft, sterile bone is put in the area where you need improvement. Once the procedure is performed, it will take from three to nine months for the bone to heal before you can continue to the next stage. The second step is the actual placement of the implant. A small incision is made, and a series of instruments are used to make a space for the implant. The implant is placed in the bone, and a small cover screw is put on top while the implant is allowed to osseointegrate. What is osseointegration? Simply put, it is the process of your bone growing and attaching to the implant to make it stable within the bone. The most common question we get about this stage is, “How much is it going to hurt?”. The answer is that it is usually much less painful than one might imaging. In a real world example, Doctor Ranney placed five implants into his 76 year old mother-in-law in January of 2017. After placement of the implants she said that she took only one over-the-counter Tylenol, and she said she didn’t really need it. If there is one person you don’t want to disappoint, it’s your mother-in-law! Her experience is not unusual. The procedure generally does not cause pain afterword, and if there is discomfort it can usually be treated with over-the-counter pain medications.